The Australian Government is funding science, technology, engineering and mathematics (STEM) subjects in schools, so young people are equipped with skills for the future. But how do you develop a sense of wonder in children so they become open to the innovative new worlds of STEM subjects? Topics such as the stars, space travel and extreme weather have always been of fascination to children, so STARLAB Victoria's Mobile Dome Experience can help young Australians engage with the world of science enjoyably and economically. We travel to schools in city and country Victoria, with programs covering a full range of Australian curriculum science topics, tailored to primary or secondary levels in two formats: Starlab Lessons and Fulldome Movies. All programs are presented within our portable planetariums (pictured below). Presenter-led astronomy sessions for students from Preps to Year 10. Topics covered include Night & Day, the Solar System, Spin, Tilt, The Seasons, The Moon, Eclipses and Tides, Life and Exploration in Space. Curriculum programs such as Weather, Natural Disasters, and Climate Change have also been added. We now offer two streams: Space and Earth. Our inflatable planetarium domes are able to seat 30 (standard dome) to 60 (giant dome) students per session. They are safe and enjoyable, and help schools avoid the transport costs, fuss and expense of excursions, providing school incursions instead. 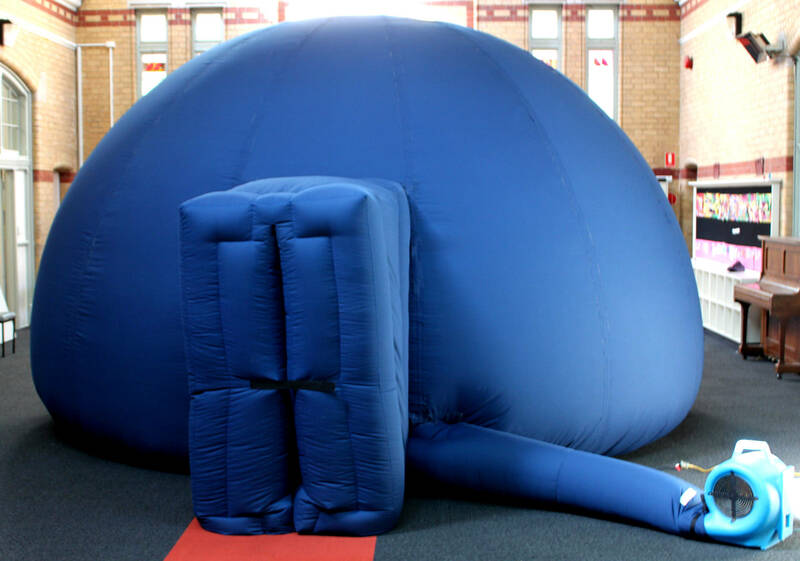 Since 1994, STARLAB Victoria has presented to approximately 750,000 children in our portable domes throughout country and city Victoria.